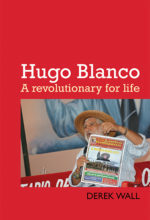 Published by by Merlin Press, the IIRE and Resistance Books. Out now for just £13.95 plus p&p. The massive publicity given to right wing anti-communist work, and the identification between Stalinism and Bolshevism, means that the dominant way of looking at the Russian Revolution in the year of its centenary is a deeply flawed one. 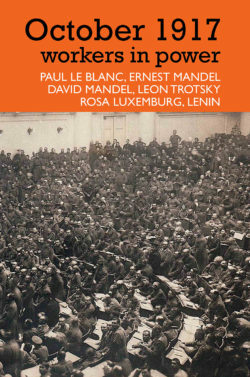 The collection edited by Paul Le Blanc has the great merit of bringing to life the proletarian democratic character of the Russian revolution minimizing the acrimonious polemical tone. This will help the lay readers to have a fresh glimpse of what happened in Russia, 1917. Le Blanc’s introduction sets the tone, by laying out an elaborate survey of the historiography of the Russian revolution from 1918 to the present. Several essays highlight the absurdity of the counterfactual about how totalitarian Bolshevism pushed out liberal democracy, by stressing that crucial elements of democracy were absent from the anti revolutionary side. For an objective study of 1917, not uncritical, but firmly rooted in the revolutionary tradition, this book can be unhesitatingly recommended. The Russian Revolution of October 1917 gave hope to millions of exploited and oppressed around the world, by showing that working people could take society into their own hands. 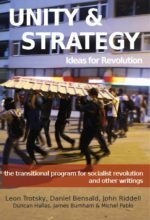 This collection, containing both texts by participants and retrospective historical analyses, defends the achievements of the Revolution while honestly recognizing its limitations, and will stimulate informed discussion. A fascinating and unexpected collection of materials that shine a needed light on the workers revolution of 1917. The centerpiece is David Mandel’s classic essay ‘The historical legitimacy of the October Revolution’, one of the best ever statements of the meaning of a central aspect of the revolution: worker support for soviet power. Longer essays by the two Mandels – David and Ernest – fill out the book. 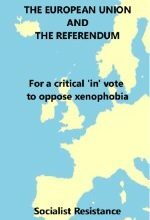 Extremely useful is Paul Le Blanc’s guide to some of the best (and some of the worst) accounts of the tumultuous year. And finally, we have the eloquent words of revolutionary participants: Lenin, Luxemburg, and Trotsky. All in all, a spirited defence of the October revolution at a time when many people would like to forget all about it.